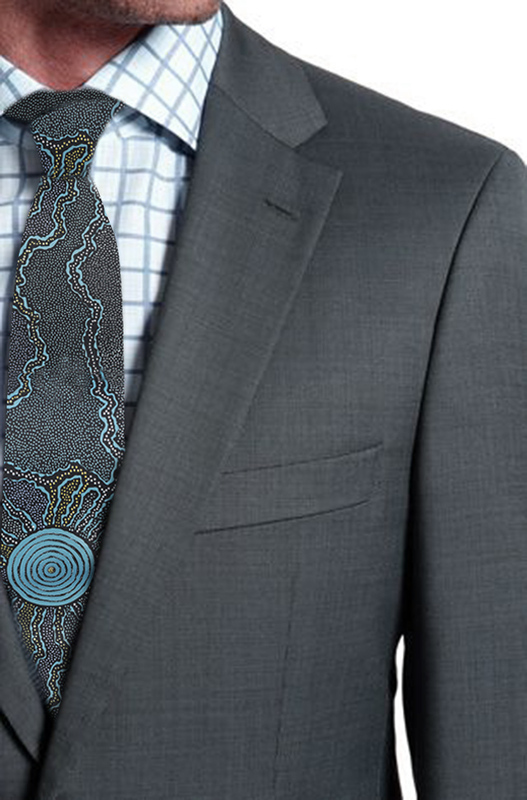 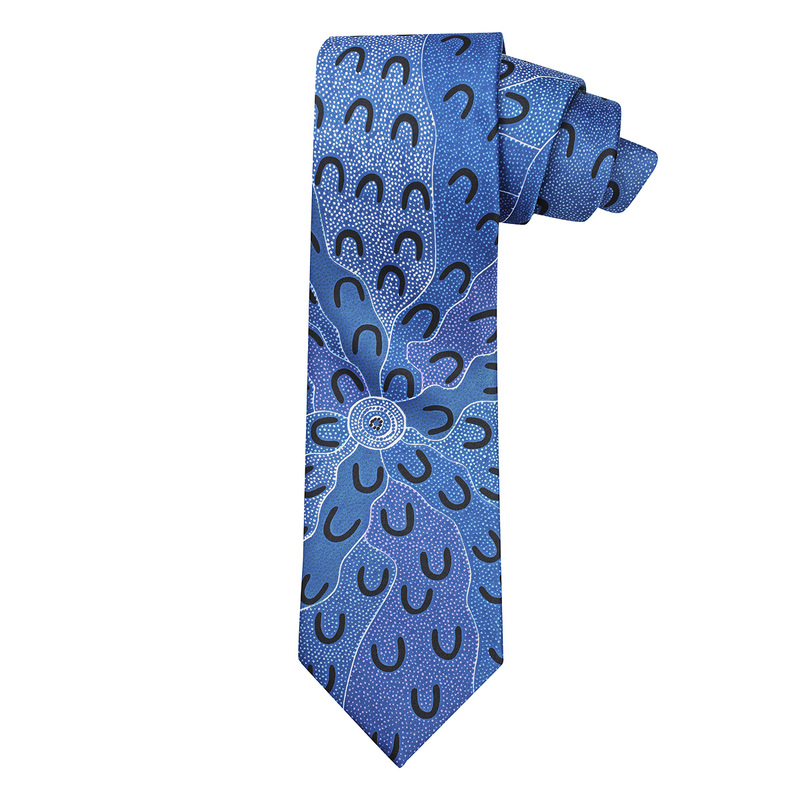 This Aboriginal printed men’s tie is the perfect Australian gift. 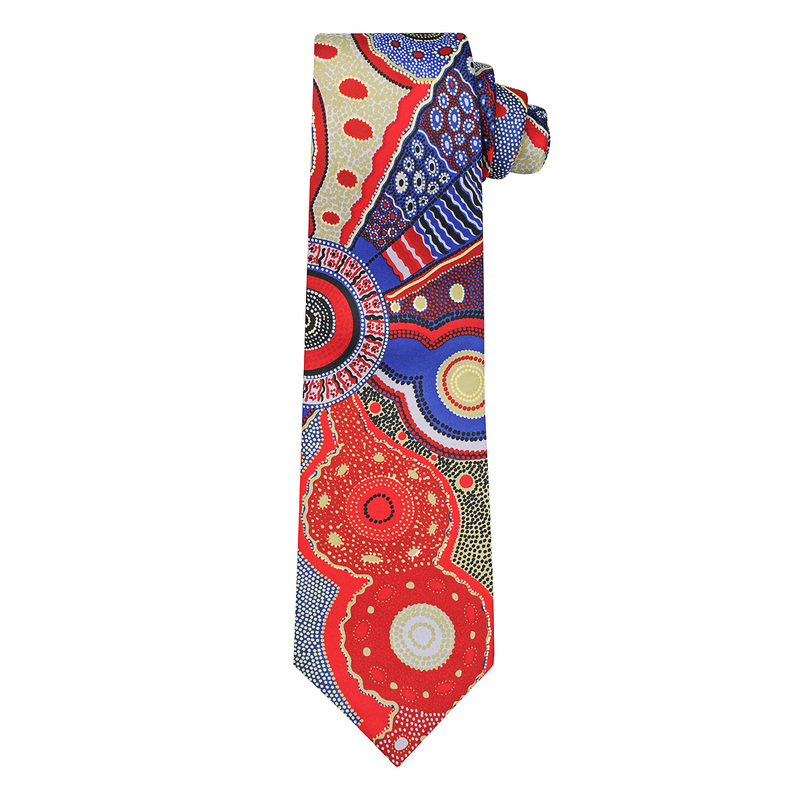 It features a beautiful painting by Indigenous artist Maureen Hudson Nampajimpa from Yijan called “Fire Water”. 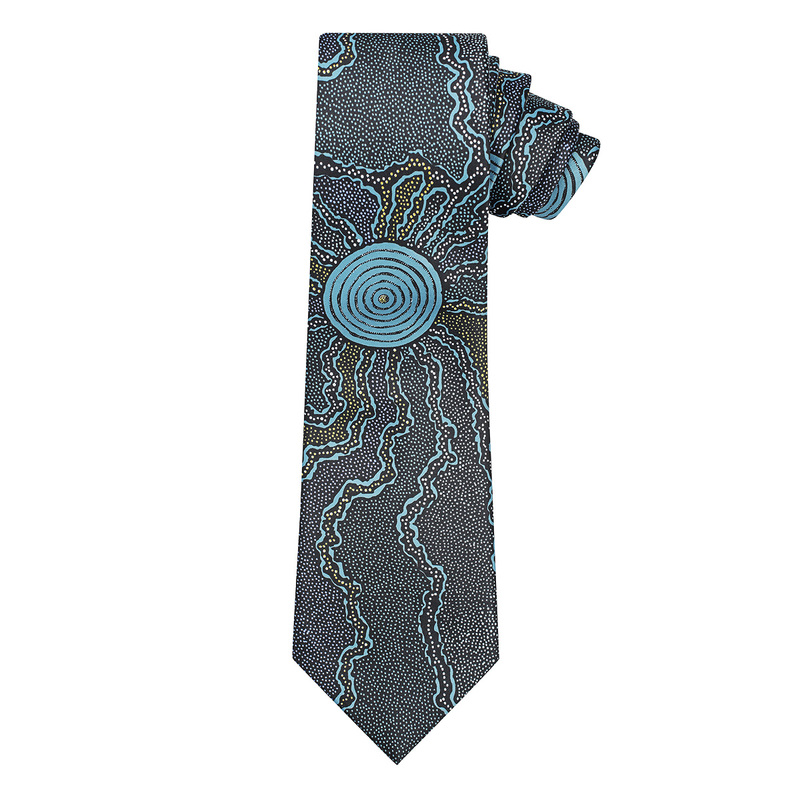 With wonderful shades of blue and grey it tells the story of Fire Dreaming and Water Dreaming. 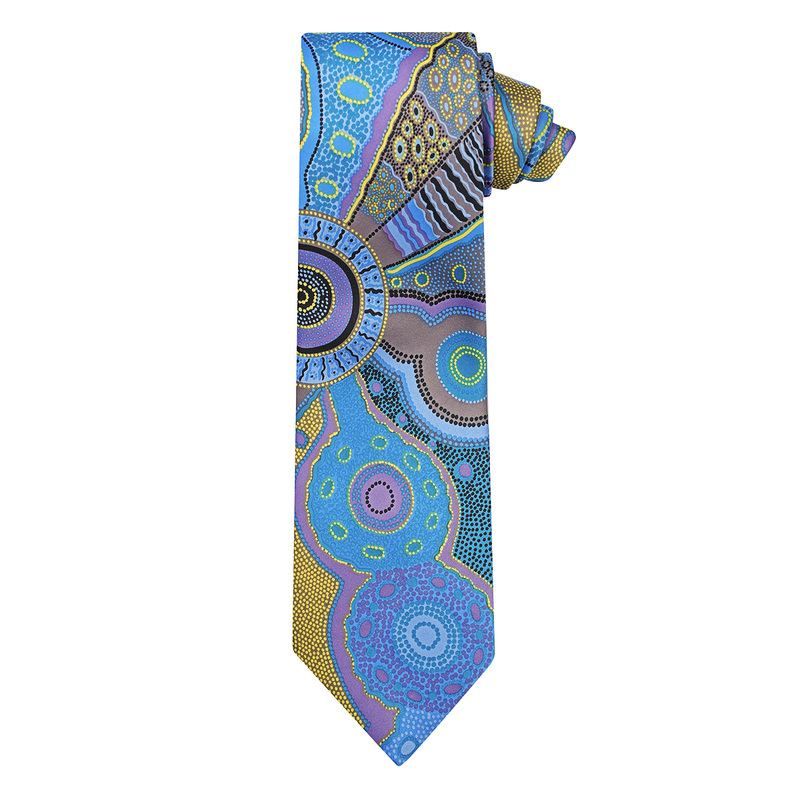 It’s the ideal souvenir gift from Australia.